When was the last time you updated your LinkedIn profile, is it optimised well so that people can find you? 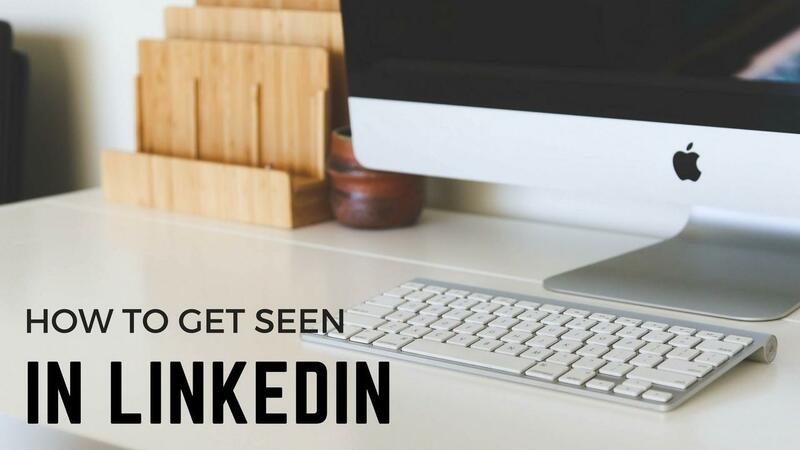 LinkedIn is changing at a pretty fast pace at the moment and is becoming a great tool to get yourself known and build lasting relationships. I wrote a previous blog post which touched on how to use LinkedIn for new business but I thought it would be helpful to share some tips on how to make sure your profile is fully optimised and how, by spending just 10 minutes every day, you can raise your profile, get noticed and win more business. I’ll go into more detail now and share some tips on some small changes that can make a big difference. I get daily requests from people, relevant to my industry wanting to connect with me and the majority of the enquiries I get from people wanting to work with me come from LinkedIn. I post an article of value every week on LinkedIn – this article also goes as a blog post on my blog and I post at least one comment/status update every day. These are a mix of my clients’ news, industry news, snippets from my blog posts and a few personal/opinion updates. For the last few weeks I have been planning these in advance each week using a google sheet so it means I simply have to copy and paste each day. I then spend 10 minutes, using a timer, going through LinkedIn and interacting with people’s content. If you found this article helpful, then please hit the share button! Also drop me an email [email protected] if you have any questions.